A few weeks ago I was contacted by the lovely team at Style Compare to take part in their Blogger Style Challenge, which takes place monthly. I've seen (and voted in!) many of their style challenges over the past few months so I jumped at the chance to take part! This month's trend was Aztec. 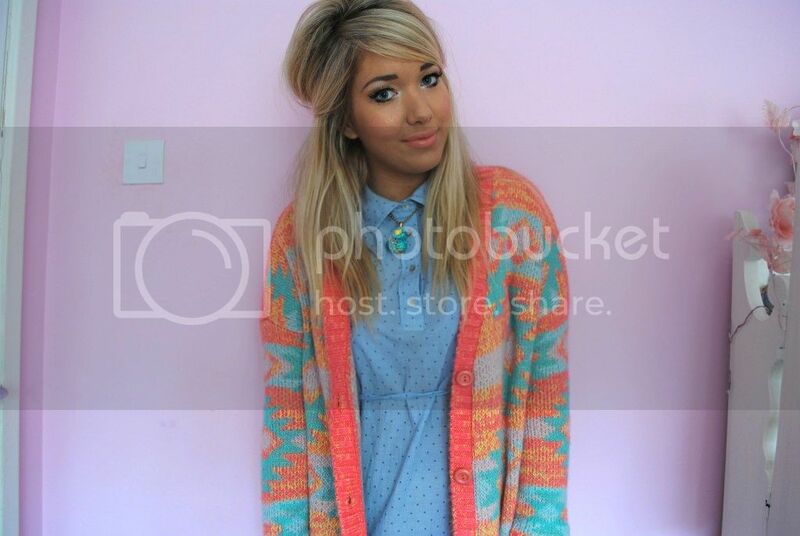 To be honest, I only own one item of Aztec clothing, as the trend never really jumped out at me, but lately I've had my eye on more and more knitted Aztec pieces, and when I saw this cardigan from New Look via Style Compare I just couldn't resist. 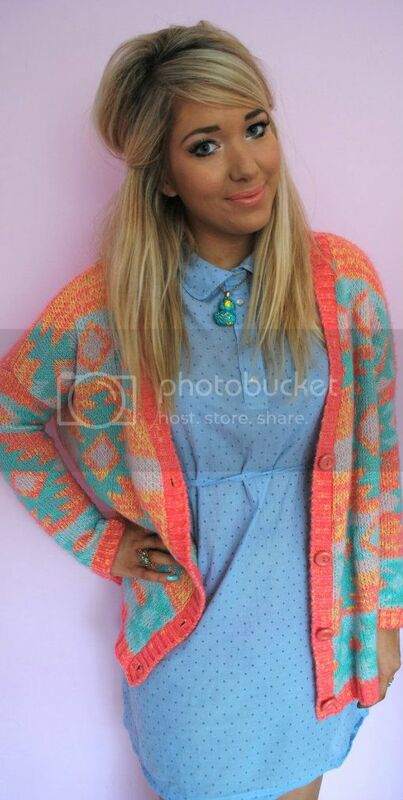 It is such a unique piece and is exactly my style; bright with pastel thrown in, and is so snuggly and nice to wear. I got it in a size 14, as I'm all about oversized cardis, and paired it with my trusty pale blue polkadot dress from River Island, with my cute Butler & Wilson duck necklace for a bit of added bling. I would be so, so grateful if you could take the time to vote for me in this month's Style Compare Blogger Challenge here! I am up against some of my absolute favourite bloggers but would really appreciate your votes! Whoever wins will also be giving away a £25 Style Compare voucher to one lucky reader, how exciting! Let me know what you think to my outfit choice!